Cape Town - Three New Zealand referees will be in charge of Super Rugby games featuring South African teams this weekend. Kiwi Mike Fraser has been appointed to referee the Stormers' clash against the Rebels in Melbourne on Friday (kick-off 11:45 SA time). Fraser will be assisted by countryman Brendon Pickerill and South Africa’s Rasta Rasivhenge, with Australia’s James Leckie the television match official. On Saturday, New Zealand’s Nick Briant will referee the Sharks’ clash against the Jaguares in Durban (15:05). Briant will be assisted by Argentina’s Federico Anselmi and South Africa’s Cwengile Jadezweni, with local official Marius Jonker the TMO. Kiwi Glen Jackson will referee the Bulls’ encounter against the Reds in Pretoria (17:15). Jackson will be assisted by the three South Africans - Marius van der Westhuizen and AJ Jacobs as assistant referees and Willie Vos as TMO. 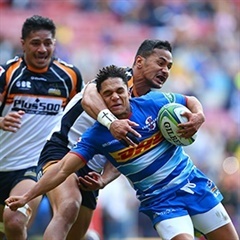 Meanwhile, South Africa’s other team in action this weekend, the Lions, have been awarded a South African referee for their clash against the Brumbies in Canberra on Saturday. Rasta Rasivhenge will be assisted by Pickerill and Fraser, with Leckie again the TMO.